Hey everyone! 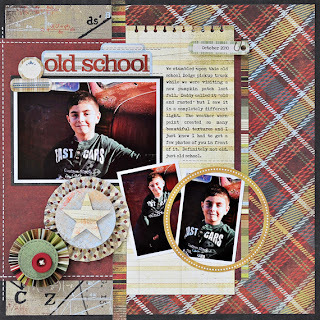 The other day a new Basic Scrapbook Sketch went up on the Basic Grey blog. The sketch was based on a card by my fellow design team member Rae Barthel. I was then asked to create a layout based on the sketch. 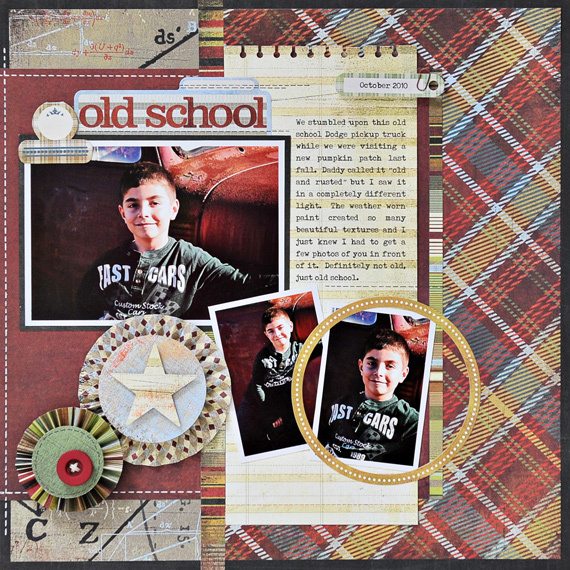 I loved the idea of translating a card into a scrapbook layout as I find it is usually the other way around (layout to card). I used lots of goodies from the Oxford collection and these photos of Darian hanging out in front of an "old school" Dodge pick up we wandered upon while at the pumpkin patch last fall. This page ROCKS, girl! Love the design! This is fabulous!! Your works are always a joy to look at!